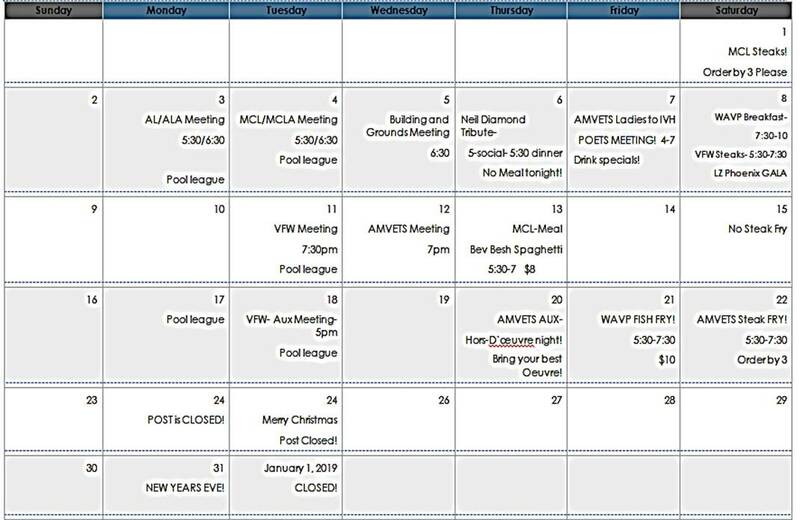 Get the Latest News about AMVETS Post 79! Please come down to the Post and donate blood for the American Red Cross! Blood will be drawn in Patriots Hall from 1 PM to 5 PM on April 18th. Help Save A Life By Donating Blood! 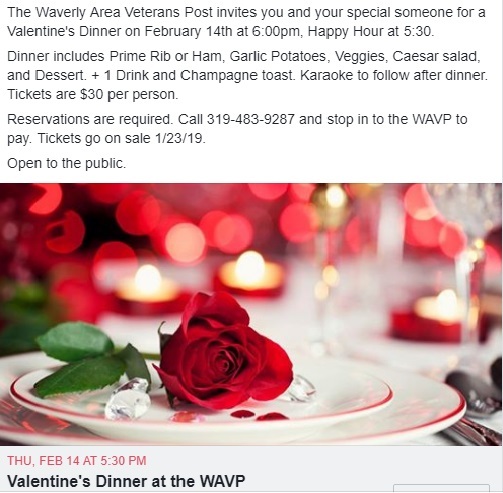 This entry was posted in Latest News and tagged waverly amvets post 79, donate blood, WAVP. Veterans Post on April 1, 2019 by msteinbach. It took me a long time to join a veteran service organization. To be honest, before I joined one, I didn’t fully understand the value of being part of these groups. You may have similar reasons for not joining: You may think they aren’t relevant to you, or maybe you think you won’t be welcome. Or that you have to wait until you leave active duty to join. 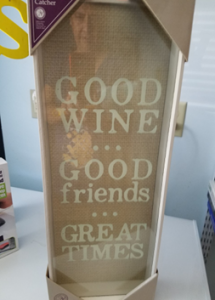 Or maybe you simply picture a bunch of old guys in funny hats sitting around drinking and smoking in a dark and dingy bar. Whatever reason you may have for not getting involved with a VSO, let me give you three reasons why I think you should reconsider. 1. You get the opportunity to make an impact. Many who have served say that one thing they enjoyed was being part of something greater than themselves. VSOs can give you that, too. Many VSOs offer opportunities for leadership positions at the local, state, regional, and national levels, giving their members the opportunity to be actively involved in the advocacy process. The Forever GI Bill, troop pay raises, correcting 12304b benefit discrepancies for Guard and Reserve mobilizations, declassification of toxic exposure-related documents, and Department of Veterans Affairs accountability are just a few of the legislative and policy areas VSOs have fought in the last year alone. 2. It’s where your battle buddies hang out. At its heart, a VSO is a military alumni network. They are places where those who don the uniform can come together and enjoy one of the things they enjoyed most about serving: the people. The mission and composition of VSOs vary: Some require service overseas, others are comprised of disabled or wounded veterans, still others may focus on minority groups or even a shared religion. But all of them are built around bringing together individuals with a common background in a place where they can share camaraderie and develop relationships. Social opportunities may include regular local meetings, national conventions, annual retreats, monthly dinners or drink meetups, community service projects, business or employer networking events, movie previews, travel opportunities, group workouts, and even formal balls and galas. Whether you are looking for a lead on a job, social support after relocating to a new town, advice for what to expect when you transition off active duty, a place to do yoga, or even just a place to tell a story without having to explain the acronyms-there’s a VSO for that. 3. They have access to resources and information. One of the advantages of an alumni network is that those who have gone before are willing to reach back and assist the next generation. VSOs are no different: Philanthropy and service are key tenets of VSOs and they offer a variety of different kinds of programs and assistance, often for the both the veteran and his/her family, to include surviving dependents. Services often include scholarships and fellowships, financial need grants, employment and education help, discharge upgrade services, caregiver support and legal advice, to name a few. Several are also accredited by the VA to file and assist with disability claims, including for those transitioning off active duty. Additionally, they are often the best place to find information on what’s happening in the military and veteran communities. Through magazines, newsletters, webinars, podcasts, meetings, guidebooks, research projects, and social media, VSOs work hard to find the most important and latest information about the topics that matter to their members and many have access to people and places that you may never have access to on your own, to include the people and organizations responsible for overseeing services, policies, and benefits for service members, veterans, and their families. Veteran service organizations aren’t just places to drink a beer — though many offer that if that’s what you’re looking for. They are organizations that provide a variety of benefits to their members, their communities, and to the broader military and veteran populations as a whole. And the more members they have, the more they can do on all fronts. If you don’t yet belong to a VSO, I challenge you to put aside any stereotypes or preconceived notions you may have and go explore them. Check out their social media. Subscribe to their newsletters, or walk-in to the closest post, service platoon, or chapter. 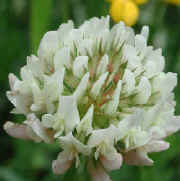 See what they have to offer and how you can contribute. What do you have to lose? If you aren’t sure where to start, you can check out VA’s VSO directory. It breaks out which VSOs are nonprofits chartered by Congress, which are accredited to assist with VA claims, and provides contact information for them and others. 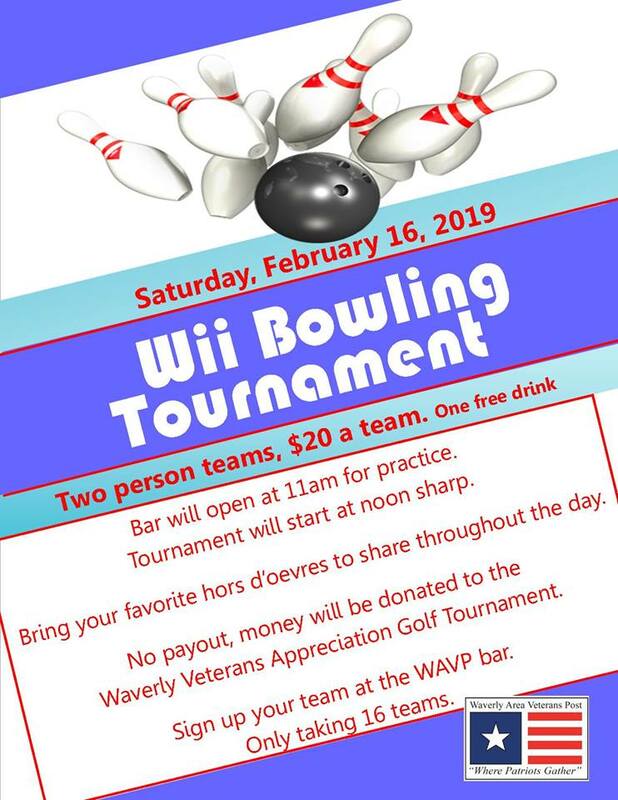 This entry was posted in Latest News and tagged veterans, waverly amvets post 79, AMVETS Auxiliary post 79 on March 1, 2019 by msteinbach. This entry was posted in Latest News and tagged AMVETS Post 79 on February 1, 2019 by msteinbach. 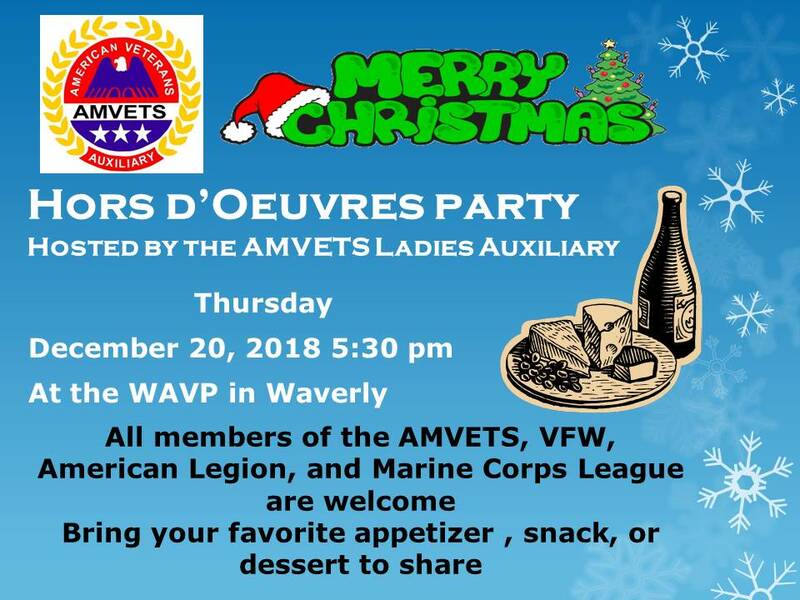 This entry was posted in Latest News and tagged AMVETS Post 79, Iowa AMVETS Post 79, waverly amvets, waverly area veterans on December 1, 2018 by msteinbach. 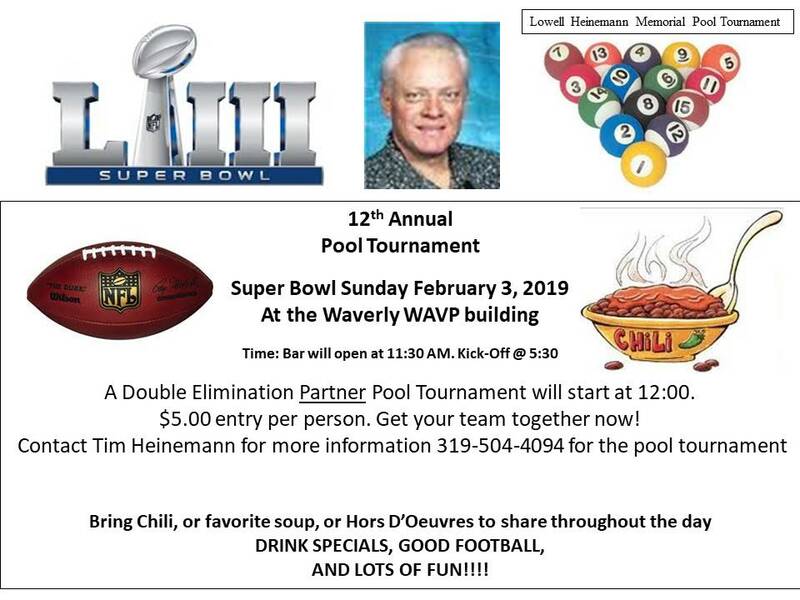 This entry was posted in Latest News and tagged AMVETS Post 79, Iowa AMVETS Post 79, waverly amvets post 79 on November 1, 2018 by msteinbach. 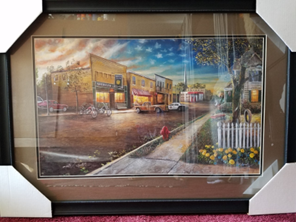 This entry was posted in Latest News and tagged waverly veterans, waverly amvets post 79 on October 1, 2018 by msteinbach. First, we would like to thank those receiving their mail online. For each member, it was costing approximately $12.00 per year to mail them. With the money saved we will be able to do more to support our local veterans and our community. 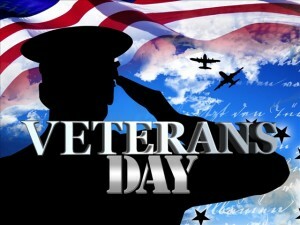 We do appreciate your membership with the #1 Veteran’s Service Organization across the United States. Communication is key and there is so much more we can provide via the online version; links to National AMVETS and the supporting organizations, other AMVETS in the area, Bremer County VA, and more. We can also post more pictures of local AMVETS doing great work and some fun things that we do during the year. As always, the calendar of events is the most popular tab, with an expanded explanation of the the event. This is just not possible in the regular print version. Also, on the online version we are able to pay tribute to those members who have passed away. I have helped answer a few questions concerning going from the email message to the online version. To get started, you can click on the heading of the newsletter or at the bottom of an article to take you the web version. While there, explore the other tabs and learn more about the web page. If you have any concern, message Mary Steinbach, editor, mjonlyu@outlook.com and she will be happy to help. 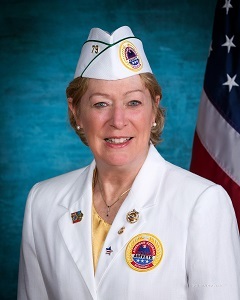 AMVETS, AMVETS Ladies Auxiliary, or the Sons of AMVETS. My best advice is to talk to people, Make them aware of our programs and events and offer a warm and friendly face. This entry was posted in Latest News and tagged AMVETS Post 79, Ladies Auxiliary, sons of amvets, Iowa AMVETS Post 79, waverly area veterans on September 1, 2018 by msteinbach. We need to train ourselves to take leadership and form a partnership with the schools and the community. This is just a small list. You can also contact your local schools to learn where volunteers are needed. This entry was posted in Latest News and tagged AMVETS Post 79, waverly amvets post 79 on August 1, 2018 by msteinbach. 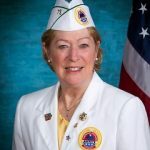 I wish to Thank the Waverly AMVETS, AMVETS Ladies Auxiliary, and the Sons of AMVETS for their Support during the past two years as I served as the Department of Iowa AMVETS Ladies Auxiliary President. I am so Proud of the work Post #79 does within our community and supporting our Veterans. Let’s continue to work together to build a better Organization. 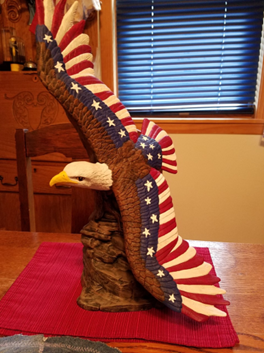 This entry was posted in Latest News and tagged AMVETS Post 79, Iowa AMVETS Post 79 on July 1, 2018 by msteinbach. The Chapel has a new look! 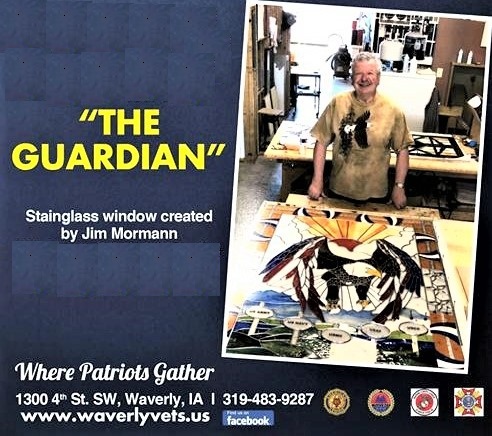 Jim Mormann, Life Member of the AMVETS, created the stain glass window for the Chapel. John Mohlis, Sons of AMVETS Commander, built the stand and frame. This is a must see for everyone and wonderful addition to the WAVP. 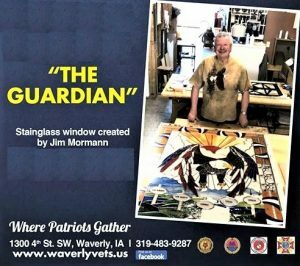 This entry was posted in Latest News and tagged AMVETS Post 79, Iowa AMVETS Post 79, AMVETS Club, waverly area veterans on June 1, 2018 by msteinbach.